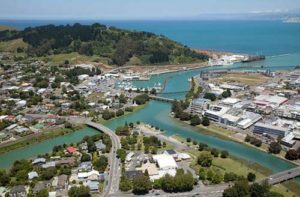 The $1 billion Provincial Growth Fund launched by the Government will give New Zealand’s regions a boost and help unlock the potential of our rural and smaller centres, Local Government New Zealand says. The Provincial Growth Fund, launched in Gisborne today by Prime Minister Jacinda Ardern and Minister for Regional Economic Development Shane Jones, detailed the Government’s plans to help New Zealand’s regions maximise their opportunities to boost local economies. LGNZ President Dave Cull says the country’s economic growth strategy needs to consider the nation as a whole and the Government’s commitment to much greater investment in regions is a welcome step. The Fund aims to enhance economic development opportunities, create sustainable jobs, contribute to community well-being, lift the productivity potential of regions, and help meet New Zealand’s climate change targets.